What the players wear on the ice (1995-2006). Players available in Red: Hejduk, Stastny, Liles & Sakic. Players available in White: Sakic, Liles, Hejduk & Wolski. 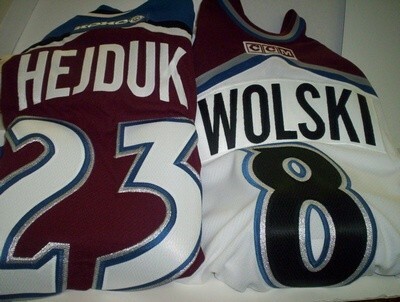 Apparel- Old Avalanche Authentic Player Jerseys.